Jackie Kasabach, right, and Marsha Cook judge signature verification on election ballots on Friday afternoon at the Pitkin County Administration building. 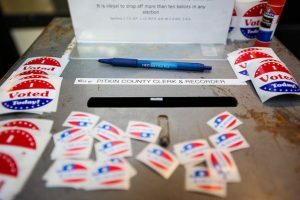 Numerous safeguards are in place to protect against fraud during the election and ensure that each Pitkin County ballot — whether mailed in, filled out early in person or completed on Election Day — is counted accurately, the county’s clerk said. 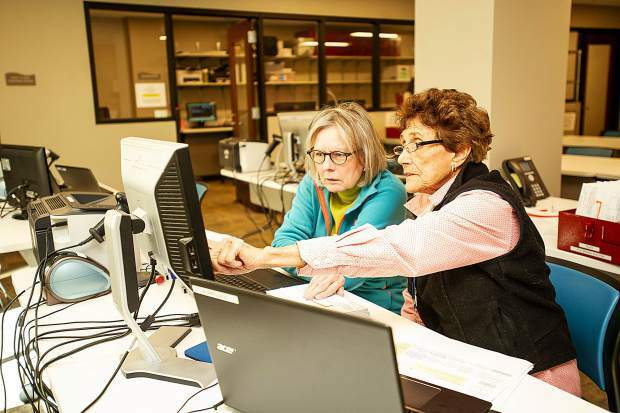 In fact, Colorado’s election reporting and security system is considered a national model for election security, Pitkin County Clerk and Recorder Janice Vos Caudill said during a recent tour of her office’s new space. “Colorado is the state to watch for how elections should be conducted,” Vos Caudill said, citing media reports by the Washington Post, Fox News and comments by Secretary of Homeland Security Kristjen Nielsen. “Other states watch to see what we’re doing. The security processes are particularly prevalent when it comes to mail-in ballots, she said. First, the ballot processing area inside Pitkin County’s new building features 24/7 security cameras that begin monitoring 30 days before an election until 60 days after. Entering the room requires a code to access the door, and each entrance generates a tracking record, Vos Caudill said. In addition, a Democrat judge and a Republican judge process each ballot. Before ballots are opened, they are scanned into the system and another record is generated, she said. After that, judges verify voter signatures with signatures on record. Then comes the opening and counting processes, where every step is recorded and chain of custody is scrupulously maintained, Vos Caudill said. Ballots are placed in secrecy sleeves to assure anonymity, and any ballot that cannot be read is put into an adjudication process for review, she said. Once counted, the ballots are sealed. The ballot programming and counting system is a standalone and not connected to any computer networks, Vos Caudill said. But even then, human judges would likely thwart any attempt at fraud, Vos Caudill said. 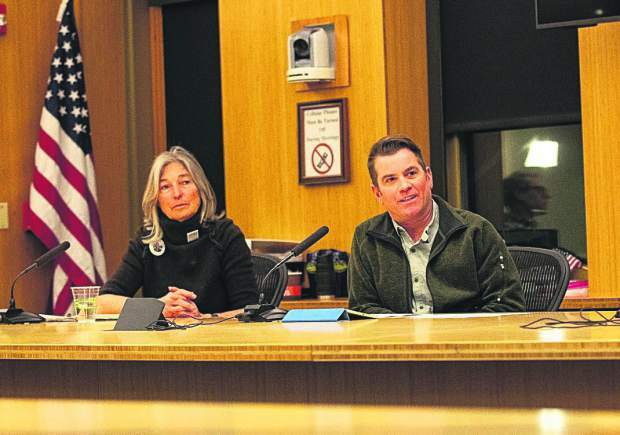 Pitkin County has a new elections manager this year because the previous manager, Kelly McNicholas Kury, is set to take over the District 2 seat on the Pitkin Board of County Commissioners. Kury had no competition for the seat, though she will not be involved in the counting process this year to ensure total transparency and will allow Elizabeth Grando, the new elections manager, to do the heavy lifting, Vos Caudill said. Vos Caudill also is running for another term as clerk, though she too has no challenger. 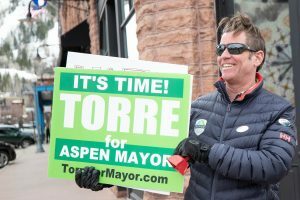 As of Monday afternoon, 2,301 mail-in ballots had been received out of a total of 12,691 active, registered voters in Pitkin County, she said. Seventy-eight people had early-voted by the same time, she said. Those numbers were about the same as this time in 2014 — the last midterm elections — when about 7,500 county voters cast ballots, Vos Caudill said. About 3,100 county voters are considered “inactive,” she said, because they have been mailed a ballot in previous elections and it’s been returned. 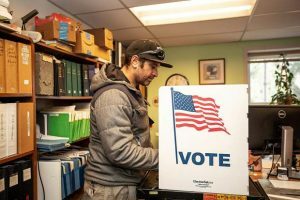 Those who want to update their registration can do so online or in person at the Clerk’s Office inside the Pitkin County Building on Main Street, she said. Monday was the last day to put a ballot in the mail and ensure it was received by the cutoff. After Wednesday, voters are encouraged to drop off their ballots instead of mailing them. For the Nov. 6 election, the county building will serve as the polling place, replacing the Jewish Community Center on Main Street, which served as a polling place during construction of the new county building. 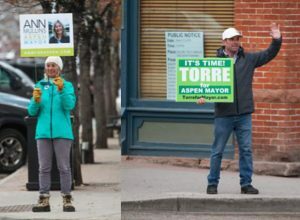 On Election Day, there also will be walk-in voting and dropoff ballot boxes at the Snowmass Village Town Hall and Grace Church in Emma and a dropoff box at the Redstone Church.